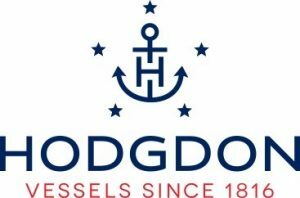 Hodgdon Yachts is based in East Boothbay, Damariscotta and Southport, Maine. We are a family-run business that was founded in 1816 and known as the oldest continuously operating family boatbuilder in the United States. Hodgdon Yachts is noted for building superyachts, both sail and power, and for using advanced composite materials and construction techniques. It’s also noted for its ability to incorporate those advanced materials into traditional (as well as contemporary) designs that employ modern electronic and mechanical marine systems. The company currently has two divisions located on the beautiful and thriving mid-coast of Maine. Hodgdon Yacht Services (a full-service boat yard) on Southport Island, which is just a short distance from the well-known Boothbay Harbor Region and Hodgdon Custom Tenders located just outside the banks of the Damariscotta River, another quaint coastal community. A Marine Finisher is responsible for all surface preparations and coating of the vessel, may include fairing, sanding, painting, spraying and other finishing procedure. Finishing may involve epoxy, linear polyurethanes and other marine finish products. A Finisher may also assist with preparing estimates, including interacting with Service Managers and/or Customers. Five years’ experience in the marine finishing industry is preferred but may be substituted for experience in high-end auto body shop finishing. The applicant must be familiar with brush and spray applications, have high quality standards and pay attention to detail. The applicant must have a keen understanding of the safety procedures, have good communication skills and be a team player. A Marine Finisher must also possess basic mathematic skills, must be able to read and understand paint mixing formulas, have flexibility to work in standing, squatting or kneeling position, work in small confined spaces, as well as reaching overhead with some twisting and bending, while performing the tasks described above. Finisher must not have a fear of heights and must be able to lift a minimum of 25lbs. If you are interested in joining our team please send your letter of interest, resume and references to:Diane Hammond, Human Resource Manager, P.O. Box 179, Southport, Maine, 04576 or email to dhammond@nullhodgdonyachts.com.